HamiltonBuhl’s HygenX Headphones and Headsets Cleaner is the ultimate cleaning solution ideal for all headphones, headsets, earbuds and phones. 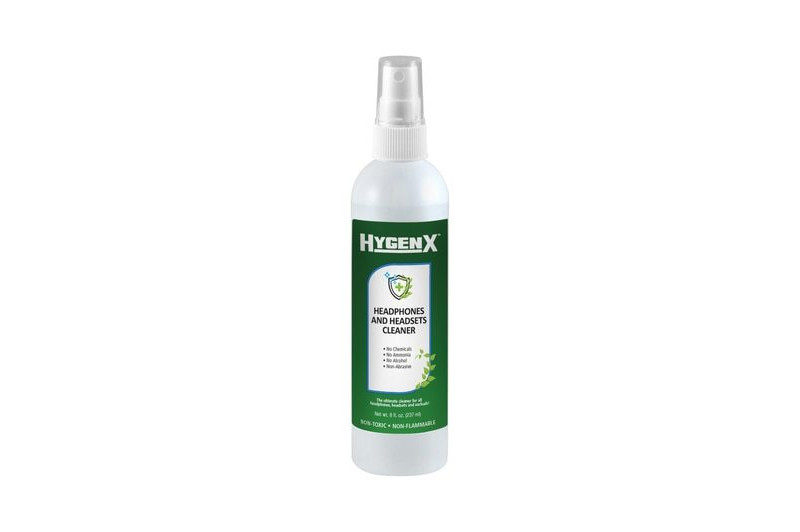 Free of any harsh chemicals or fumes, the HygenX Headphones and Headsets Cleaner is FREE of any alcohol or ammonia and is non-toxic and non-flammable, making it the safer choice for you, your crew, your office, your home and the environment. The unique proprietary formula, ensures your headphones, headsets, earbuds and phones are left clean, properly conditioned, scratch-free, streak-free and best of all safe to handle in seconds. Use it over and over, with complete confidence.